Judge orders Bill Cosby sexual assault case to go ahead. 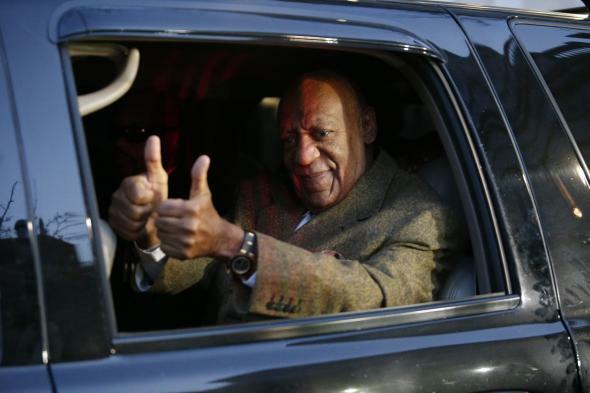 Bill Cosby gives a thumbs up as he leaves the Montgomery County courthouse in Norristown, Penn. on Feb. 2, 2016. A Pennsylvania judge ruled Wednesday that Bill Cosby was not granted immunity from prosecution in 2005 when the then-District Attorney decided not to prosecute the comedian for the alleged sexual assault of Andrea Constand. The Cosby legal team had been trying to get the case dismissed, after the investigation was revived in the wake of lurid, decade-old testimony by Cosby in a civil case that was unsealed last year. The former DA said he made the no-prosecution commitment in hopes of prodding Cosby to testify in Constand’s lawsuit without invoking his Fifth Amendment right against self-incrimination. In the end, Cosby testified, denying he assaulted Constand but admitting among other things that he obtained quaaludes to give to women he wanted to seduce, and Constand eventually settled for an undisclosed amount. Judge Steven O’Neill refused Cosby’s motion to dismiss the case based on the somewhat nonsensical agreement for immunity. The case is still not assured of going to trial; both sided will noe enter into the preliminary hearing stage to determine if there is sufficient evidence against Cosby for the case to go ahead. The comedian could face up to 10 years in prison if convicted.